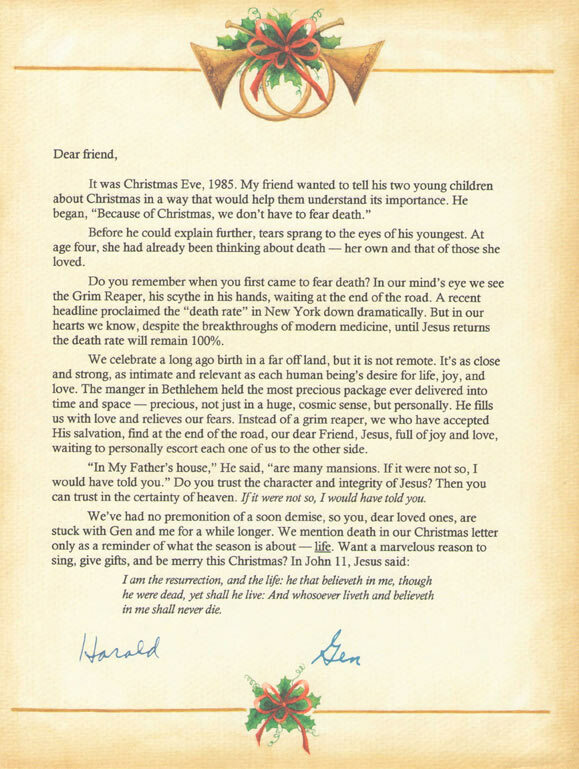 For the story of how this remarkable letter came to be, click here. Audio of a Harald Bredesen sermon delivered at North County Christian Center, San Marcos, CA on October 23, 1977. The following quotes were gleaned from notes on a book Harald considered writing, but never did. • With all your learning, learn to be vulnerable. Study to be wrong. More often than you do, let yourself be seen in your naked fallibility. • Though they may be few, you will make mistakes and even the slightest misdirection early in the journey grows in the course of travel. Course corrections are essential. It falls on friends and trusted advisers to point out to the leader areas of potential trouble before they do real harm. • To the extent that you have insulated yourself, you are vulnerable to pride and, ultimately, to folly. • With blessing come dangers. The more greatly a man is blessed and used of God, the less inclined is he and are his peers to question his rightness, and the more inclined he is to question his questioners, then to think of them as enemies and eventually treat them as such. • Though practically all Christian leaders give lip-service to the principle of accountability, for many it becomes increasingly difficult to live with it, and increasingly easy to walk rough-shod over. • Not only does power make a man feel less accountable to those to whom God has made him accountable, it makes him feel less accountable to his own conscience.